Cardio vs. Strength Training: Which One is Most Effective? Passat or Prius? Trader Joe's or Whole Foods? And when it comes to getting the body you want: strength training or cardio? Back when you carpooled in Mom's minivan, men went to the weight room and women hit a Jazzercise class. But recently, taking a cue from athletes, many fitness gurus insist that strength training is where it's at. Some even suggest ditching cardio altogether. 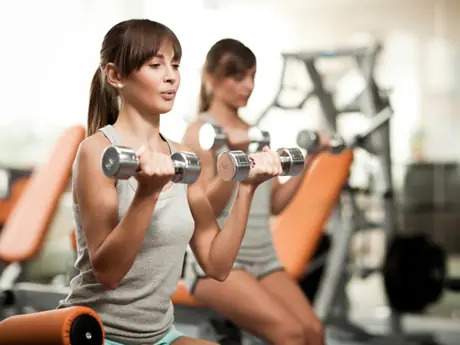 To resolve the strength vs. cardio conundrum, we culled research and chatted up experts to find out how each would fare in a head-to-head matchup (don't worry, nobody's going to bite anyone's ear off). Whether you want to get buff, torch calories, or run your fastest mile ever, we've decoded which discipline you should devote your sweat to—and created a workout that's perfectly proportioned to give you all the benefits. Now, let's get ready to rumble. Which Impacts Your Weight More, Diet or Exercise? And there's more good news when it comes to iron's fat-socking power. "For every 3 pounds of muscle you build, you'll burn an extra 120 calories a day—just vegging—because muscle takes more energy to sustain," Westcott says. Over the course of a year, that's about 10 pounds of fat—without even changing your diet. Yes, please. Cardio's Edge: The head-clearing effects of, say, swimming or playing tennis show up faster than it takes to get a brow wax. Just 15 minutes of aerobic activity 2 to 3 times a week can reduce anxiety significantly, according to a 2005 study in the European Journal of Sports Science. Go at it 3 to 5 days a week and you can cut fatigue by nearly 50 percent. "Cardio elevates serotonin levels in the brain, a key neurotransmitter involved in improving symptoms of depression," says Madhukar Trivedi, M.D., director of the University of Texas Southwestern Medical Center Mood Disorders Research Program and Clinic.